Yep, I did it. I cheated on Henry. I used to ride lots of different horses all the time, but since I’ve had him I’ve probably only sat on 3-4 other horses. Our barn is small, everyone rides their own horse, so there’s not a lot of opportunity to throw a leg over something else. But this past weekend Bobby was going out of town and he asked if I’d hack Halo around while he was gone. 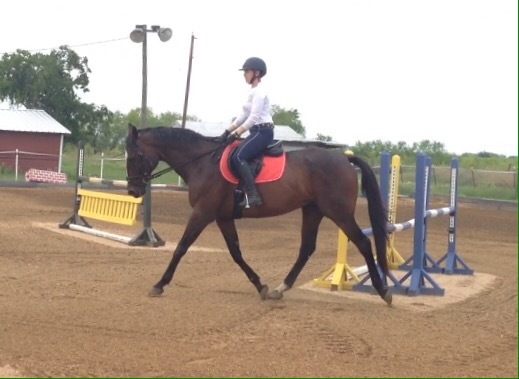 Ride your big fancy national champion event horse? I mean, I guess. Bonus of riding Halo, I also got to try Bobby’s super fancy custom saddle. It definitely felt different from my CWD, but not necessarily in a bad way. It’s a nice saddle with good balance. Halo was not exactly super pumped about w/t/c in the ring, but he was polite and indulged me without complaint. He feels like riding a Cadillac, whereas Henry is more like a Ferrari. Halo is a big long horse with a big long stride (pretty sure his canter step is approximately 25′ long) and good suspension in his trot. He requires and prefers a lot of support with leg and hand to keep him together. He’s very obedient, but he’s more of a “pounds and inches” kind of horse whereas Henry is an “ounces and millimeters” kind of horse. Henry is very sensitive, much more compact, and most of our warmup is spent trying to get him to come into my hand at all. Very very different horses for sure. It was nice to be sitting on a different horse again though, since it’s been a while. Halo is quite the gentleman, which I have to assume is a natural quality since he sure as hell didn’t get it from Bobby. Halo….so majestic. He really is such a handsome horse. HA! Sheer luck! I had no idea what I was buying for $1,200! …But next time Princess Chance forces me to do a guest blog post I’ll do that. Oh yeah I second the post on how you got him – where it all started!! Halo sounds like a cool ride! You basically just summed up the differences I feel riding almost any thoroughbred vs almost any warmblood. Obviously there are those outside of generalization in both groups, but that sensitive and forward but cautious about the hand thing seems to be pretty standard for a majority of TBs… and I love it. These two are both TB’s. Halo actually reminds me a ton of my very first horse, who was also an eventer and also a TB. So very different from Henry. LOL I read this post and I was like “oh wow she didn’t make fun of Bobby at all” and then I got to the last few words and I was like… there it is. I like to think of it more as keeping it real. Fun day! Halo sounds like my kind of ride. 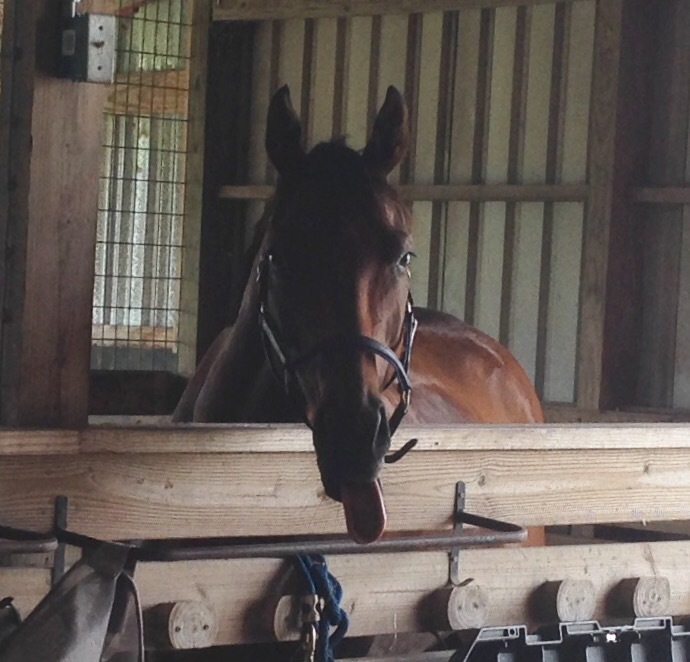 My horses are usually pretty excited when I pick someone else to ride. That’s probably saying something about my skillzzzzz….